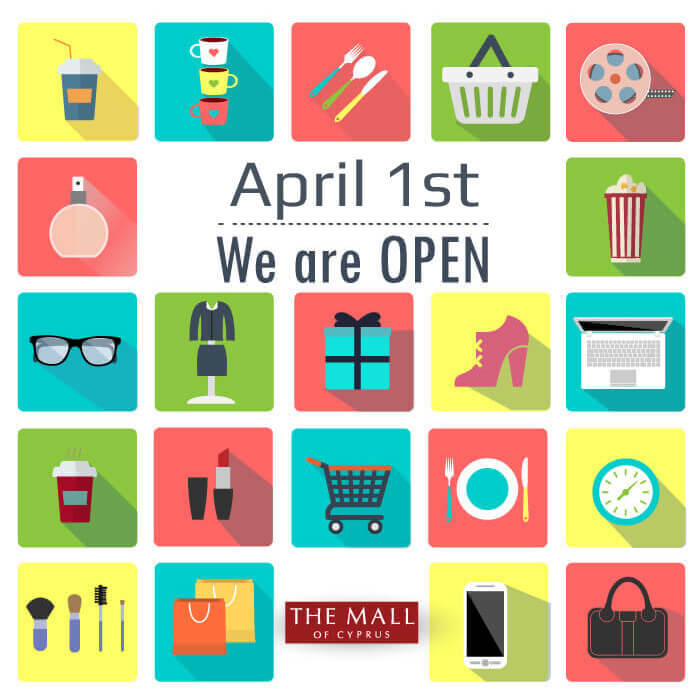 1 April – We are OPEN! All shops, restaurants, cafes and the cinema will be open as normal on 1 April! The Mall of Cyprus, Shop, Relax, Enjoy!